Which was India's most valuable consumer Internet venture in early 2014? (Hint: The name is in the headline.) Yes, we had the same expression when we stumbled upon this nugget while doing the groundwork for this piece. 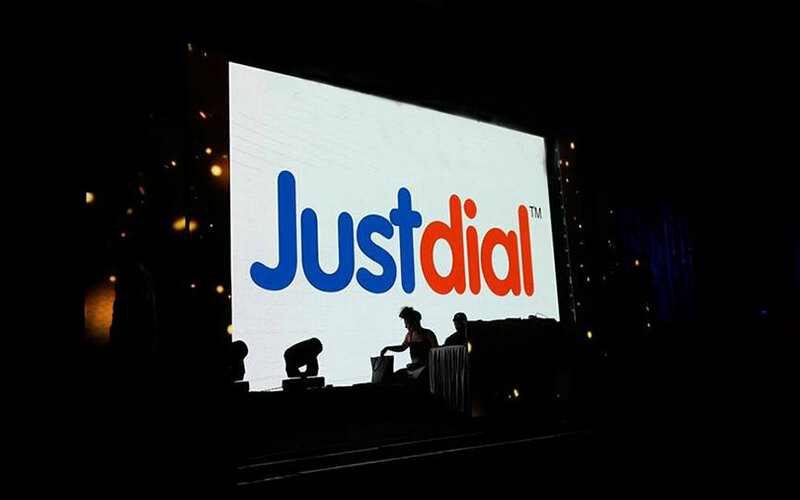 Just Dial was valued at a staggering $1.8 billion, ahead of Flipkart ($1.6 billion) and other Internet startups, in January 2014. But three-and-a-half years hence, it has been reduced to a mere footnote in the great Indian startup story, its valuation even south of Rs 2,500 crore (about $400 million). The share price has fallen from the highs of Rs 1,851.50 in August 2014 to Rs 365 apiece, nosediving over 80%. While the buoyant stock had made the company's founder Venkatachalam Sthanu Subramani, more popularly known as VSS Mani, one of the richest Internet entrepreneurs in India, there is little to write home about the company at this point. For a venture that disrupted the yellow pages industry, making millions of Indians jettison bulky phone directories, the fall has been puzzling. Is it because of squandering away opportunities? Is it because Just Dial failed to re-invent? Or is it simply a function of an outdated model that's just not in step with time? The absence of a specialised vertical has put Just Dial in this unenviable position, feels Paul. “They don’t have a unique offering for customers. It is a dinosaur stuck in ice age, and ice age has come,” she puts it bluntly. Paul isn't the only expert who feels Just Dial has not been able to create a niche for itself, leading to low brand recall. But putting the entire blame on the absence of specialisation would be oversimplifying the problem. Some analysts VCCircle spoke to feel Just Dial has always been a generic search service, and pitting it against the likes of Zomato or UrbanClap is not an apple-to-apple comparison. Anup Jain, managing partner at consumer and retail consultancy Redback Advisory Services, feels there is a fundamental flaw in the company's model: "Just Dial puts people in touch with businesses through calls and SMSes. This used to happen through yellow pages, and they have taken it online. However, the system that connects the supplier to the client is still offline. That is a flawed model in today’s world." "This kind of directory search has been taken over by Google Search,” he explains, citing the AskMe debacle. A consumer Internet search platform, AskMe.com shut down its operations in August last year, laying off all its staff. Most analysts VCCircle spoke to felt Just Dial is unlikely to survive the onslaught of newer and stronger players if it doesn't tweak its business model. But that might be easier said than done given its competitors across verticals are far from breaking even, let alone earn profits. In fact, the last couple of years have seen dozens of startups either shut down, get merged or pivot to stay afloat. From food delivery to e-commerce to on-demand home services, the list of casualties is long. The high cash burn and customer acquisition costs are also making it tough for startups to raise funds from investors, who have tightened their purse strings and asking tough questions around profitability. And that's what makes the Just Dial story ironic. Compared to peers, the company has reasonable revenues and it's been making profits. Yet, when the future is priced in, it knocks the wind out of the company's sails. In the financial year 2013-14, profit jumped to Rs 121 crore from Rs 68 crore in the previous year. The bottom line was flat for the next couple of years, coming in at Rs 139 crore and Rs 141 crore in FY15 and FY16, respectively. But it slid to Rs 121.3 crore in FY17, despite the company having posted a 7.6% year-on-year increase in operating revenues to Rs 718.6 crore. In the first quarter of FY18, too, the company registered a 2% year-on-year drop in net profit to Rs 38.2 crore. The board also approved a plan to buy back equity shares worth up to Rs 84 crore at a price not exceeding Rs 700 per share. This was the second buyback offer by the firm. In June 2015, it had said it would buy back shares worth Rs 170 crore through a tender, a move that was supposed to help reduce its equity base by 1.6-1.7%. The Mumbai-based firm has also seen exodus of top talent. In July, its chief financial officer Ramkumar Krishnamachari resigned after spending seven years at the company. That marked the second high-profile exit at Just Dial in less than a year. Its chief technology officer RV Raman had stepped down in October 2016. In fact, Raman's predecessor, Sandipan Chattopadhyay, had resigned in December 2015. Currently, Shreos Roychowdhury, who was earlier the company's chief technical architect, serves as its CTO. Though it couldn't be ascertained if these departures were voluntary or sackings, some experts attribute the exodus and problems in hiring talent to the low-key profile of the founder and the A-team. “See Flipkart or Snapdeal, the founders are very visible. That attracts the team. That has not been the case with Just Dial. That might be one of the reasons for the attrition of senior management,” says Mukherji. For all its problems, Just Dial has almost always vindicated investors' faith in the firm. During its initial public offering, for example, SAIF Partners got 13-times returns on its investment while Tiger Global got 10-fold returns. Sequoia Capital India, too, clocked 10-times returns on its investment. The company proved its mettle in the department even after the IPO. In 2015, Tiger Global sold its 5.37% stake in the company for Rs 408 crore ($64 million), clocking over 18 times in gross returns. Prior to that, the global investment firm had sold 3.4% for around Rs 300 crore and, before that, around 5.4% in tranches for Rs 500 crore, clocking around 20 times returns on its eight-year-old investment. In March last year, SAIF Partners, Sequoia Capital and Sapphire Ventures (earlier SAP Ventures) logged neat profits from their partial stake sale in the company. In fact, SAIF Partners, for which Just Dial is one of its most profitable investments in India, invested more in the firm in September last year. Interestingly, SAIF was the first large institutional investor to back Just Dial way back in 2006. The total number of active listings on Just Dial stood at 18.8 million in June 2017, up 13.3% year on year. It added close to a million listings to its database during the quarter. The total number of ratings and reviews stood at 73.1 million at the end of the quarter, a 17% year-on-year increase. App downloads increased 52% from a year ago to 15.4 million. Clearly, the vastness and accuracy of its database is Just Dial's biggest strength. Just Dial’s key revenue growth driver is paid campaigns, wherein advertisers run search-led advertising campaigns by paying an annual fee. With 4,026 tele-sales executives and over 2,300 Just Dial Ambassadors, the company ran 4.36 lakh paid campaigns in the first quarter of FY18, a 12% increase over the year-ago period. However, an Edelweiss report estimates that while Just Dial's number of campaigns is expected to grow 11-18% year on year, revenue per campaign is likely to fall by up to 6.3%. JD Omni, which allowed small businesses to manage their inventory, billing and third-party logistics, was first launched in 2015. For a venture with arguably India's biggest database of businesses, this seemed like a logical step. The launch saw a warm reception, with close to 1,500 small and medium businesses signing up as soon as the product was set in motion. The product recorded a turnover of Rs 12.5 crore for FY17, but it was soon put on hold. In October 2016, JD Omni was discontinued till further notice. The management had then clarified that it was upgrading the product to make on-boarding easier. Besides, it said using the existing team for Omni was hurting its core products. Just Dial had hired a staggering 17,000 sales professionals following JD Omni's launch. The company was betting top dollar on JD Omni and Search Plus as they were expected to have high margins, with EBIDTA margins of up to 70-75%. However, the discontinuation affected the company's fortunes a great deal. “The delay in product launch (JD Omni/Search Plus) in a competitive market would aggravate challenges of potential market share gain. We believe procrastination in Search Plus launch and discontinuation of JD Omni have further deteriorated business fundamentals. Moreover, we see sustained pricing pressure in core business, and limited operating leverage in near term due to delay in launches - would accentuate de-rating spiral,” mentioned an analyst report by IDFC Securities at that time. In January 2017, Just Dial made its intentions clear—it wanted to focus on its core offerings Search and Search Plus. Both were launched in 2015 to expand the scope of its business-to-consumer services, by adding a product e-commerce marketplace. Search Plus allowed people to order food online from local restaurants, book doctor’s appointment and flight tickets, among other things. The Motilal Oswal report mentioned above also said that the company has earmarked Rs 100 crore for ad spend on the e-commerce initiative, and would be adding new employees. Unsurprisingly, that would impact earnings for a few quarters to come. Though Just Dial manages to clock profits, it continues to lose market share. According to market intelligence firm Kalagato, Just Dial owns just 4.45% of the online classifieds market. OLX leads the segment with 56.21% while Quikr commands 30.2%. Besides, its over-reliance on the advertising campaign business, where realisations are falling, is disconcerting. Despite several tweaks, JD Omni remains a work in progress. The management recently highlighted that the company will now be focussing on Tier 2 and 3 cities. With Search and Search Plus as the focal points, the company is integrating features such as internal messenger and analytics. Will these experiments revive the fortunes of a brand that's fighting hard to stay relevant? Is a major business pivot the way forward? Only time will answer these questions. For now, even Mani will agree that the odds are against him.